The purpose of our organization is to promote interest, knowledge, and appreciation of watermedia through meetings, educational programs, instructional workshops and art exhibitions to its members and the public. 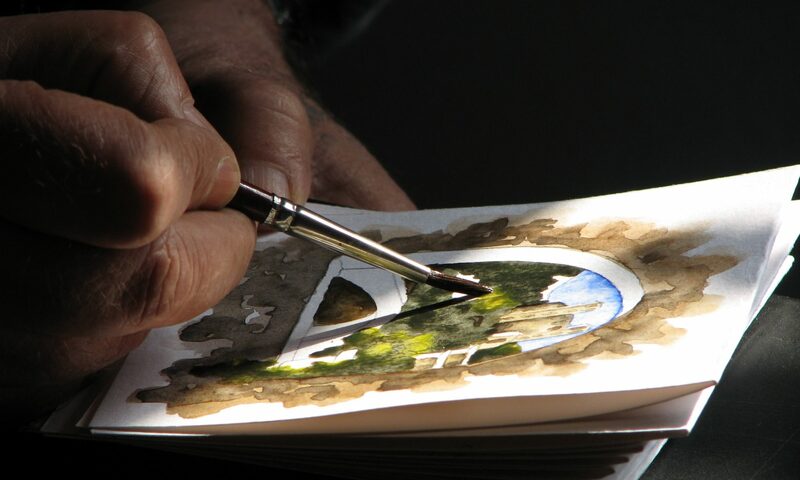 The Valley Watercolor Society season runs from September to June each year. We hold monthly meetings with visiting artist demonstrations, 1- to 3-day workshops nearly every month, and several plein air paint-outs a month (including over the summer when meetings and workshops are paused). See our detailed event listing here for meetings, workshops, and paint-outs, or scroll down for our full-year schedule of meetings and workshops below. Each meeting features a guest artist who speaks and gives a demonstration, meet-and-greet time, our monthly society show, in which members display recent work (and win prizes), snacks, a raffle, and great camaraderie and art. San Fernando Valley Arts & Cultural Center, where our meetings are held, is a gallery in itself, and at the break we can see the exhibit of the month. Everyone is welcome, both members (join) and non-members ($5). Workshops run one to three days and are usually on Fridays, Saturdays, and Sundays, from 9:00 am to 4:00 pm with a one-hour break for lunch in the middle. Prices vary on the number of days with a discount for members. Plein air events are free and open to members and non-members. They go to various locations around town and usually occur on Wednesdays and/or Saturdays at various times of the months, with some variation. See the full event listing for upcoming paint-outs. Parking is on Etiwanda or in the lot behind the complex, in the fenced in area. Do not park in the spaces reserved for businesses inside the courtyard. They will come into the meeting and make you move your car. In 1977, a small group of twenty watercolor painters got together to meet in each others’ homes to share their interest in and knowledge of watercolor. For four years they held talks and demonstrations by members and they regularly painted outdoors together. Known as the “Unstructured Watercolor Group,” the membership increased and soon they needed a newsletter to inform members of various activities and meeting arrangements. Garden party shows for selling paintings were held at the home of one of the members. By 1980, the “Watercolor Group” outgrew the living room space and moved to various community rooms at local banks. In 1983, the group applied for non-profit status and registration in the name of “Valley Watercolor Society”. By-laws, including dues and officers were adopted for the first time. Open membership was changed to Juried membership, and the category of Patron was established for members who do not exhibit or vote. 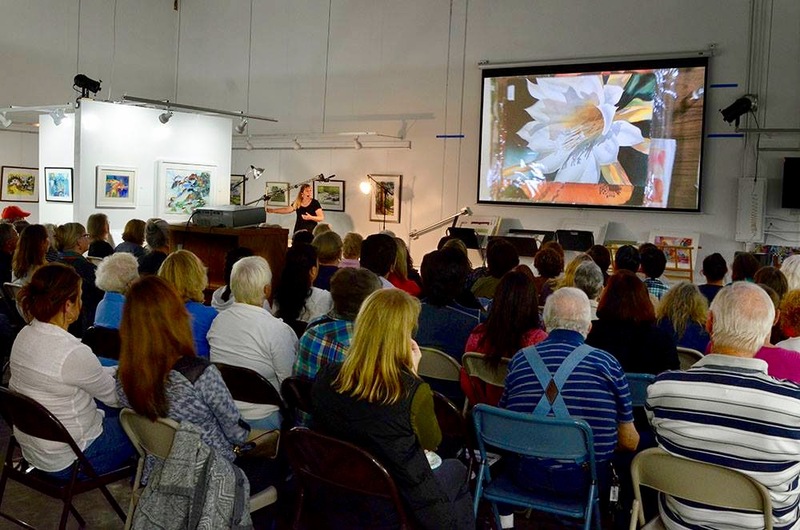 Membership growth brought a big bonus: Valley Watercolor Society could now invite the best watercolor artists in the country for demonstrations and workshops. In 2016, Juried membership was discontinued, opening full membership to all. Applications for membership are accepted throughout the year.